What is a Full-Time course? They are exciting options for young people aged 16-18 who want to achieve a recognised qualification through further education in their chosen career. Whilst on the course you will also improve your English and Maths qualifications if you didn’t get a Grade C or above at GCSE. If sixth form isn’t for you, and you feel ready to move on from the school environment, then we are the route to success you have been looking for. 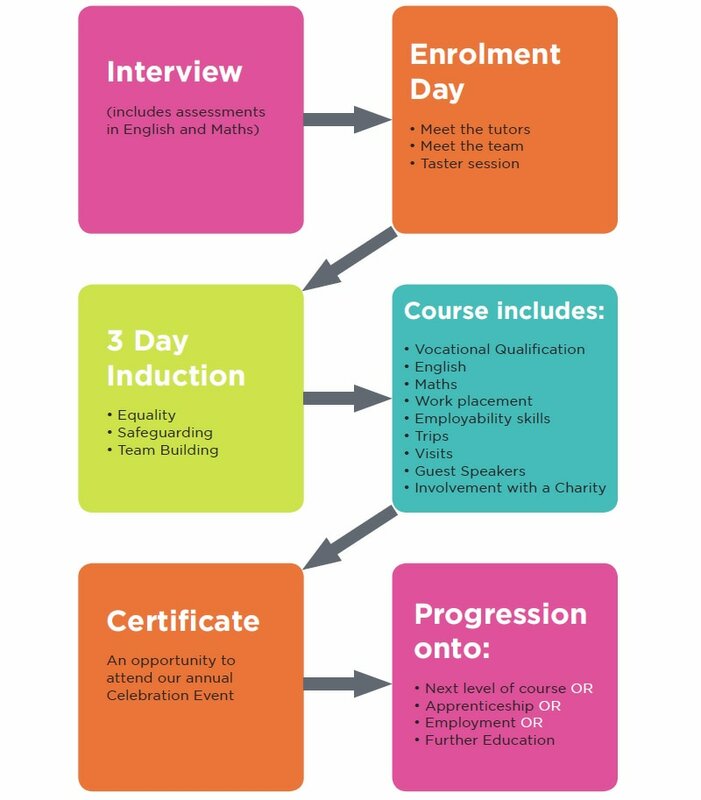 These courses provide you with a recognised qualification and practical, hands-on opportunities in a work placement whilst building your confidence and experience. You can contact us to express your interest or enrol onto a full-time course, or complete an application form and we will be in touch. Most of the full-time courses last one academic year.